Many of us have taken up some form of mindfulness or movement practice to help manage our stress and ageing bodies. I love going to yoga a couple of times a week for both the mental benefits that help soothe the week’s stress as well as the physical benefits of stretching and back pain – occupational hazards from being an avid cyclist and being desk bound throughout the work day! But as much as I applaud the many organisations offering movement and mindfulness designed to promote wellbeing and reduce work-related stress, it’s crossed my mind that these initiatives may be more band-aid in their approach rather than dealing with the root cause. Let’s take a closer look at what I mean. Wellbeing for me is a measure of a person’s happiness – their psychological, emotional and mental state at any one point in time. And there’s PLENTY of research to support that happier, healthier employees are more motivated and therefore productive. Improved staff satisfaction, better morale, higher retention and enhanced communication as well as reduced absenteeism and costs associated with employee wellbeing are just some of the perceived benefits. 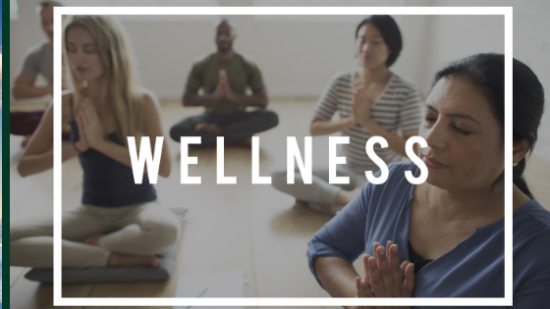 To that end, organisations are rapidly introducing Employee Assistance Programs (EAPs), yoga/meditation, exercise facilities, flexible working arrangements and healthier food options (fruit and nuts to replace cookies and chips) – my organisation included! But here’s an alternative thought. While the above initiatives focus on treating the causes of work-related stress so that employees can dust themselves off and go back into battle again, what we really need to do is change the workplace related factors that cause the stress in the first place! What causes stress? It’s the reaction many people have when they’re presented with job-related demands and pressures that are not matched to their skills, knowledge, confidence or abilities and this mis-match challenges their ability to cope. And while some jobs types and work environments are inherently more stressful than others, there are numerous steps organisations can take to decrease this incongruence and help people learn to cope better. As Jeff Pfeffer from Stanford points out in a thought-provoking McKinsey article (Employee Wellbeing), better work practices such as job control and social support are the key to improving performance and productivity. Pfeffer’s research shows that too few organisations pull these inexpensive levers to promote employee wellbeing, reduce workplace related stress and increase financial performance. Job control—the amount of discretion employees has on WHAT they do and HOW they do it—has a major impact on their physical and mental health. People with less responsibility and discretion report lower feelings of competence and accomplishment which ultimately contributes to stress, anxiety, and depression. To address this issue, organisations need to create roles with more fluidity and autonomy and in particular, erect barriers to micromanagement. Sounds a lot like empowerment to me! And according to Pfeffer, research also shows that providing employees with social support also fosters higher levels of physical and mental health. He lists a number of ways that companies promote wellbeing including: Demonstrating commitment to offering help; Encouraging people to care for one another; and Supporting shared connections. While social support alone is no panacea to employee wellbeing, the absence of social support clearly detracts from employee mental and physical wellbeing. In particular, I’m a fan of giving employees greater job control and reducing micromanaging. My research in the financial services sector shows that stressed employees whose confidence in their competence to undertake challenging tasks was boosted through training opportunities and increased role discretion reported less stress in their jobs. While increasing the number and diversity of wellbeing programs to address employee mental and physical health is well and good (pun intended), what organisations really need to do is design and implement programs that increase employee job control so they can sustainably improve employee wellbeing rather than simply putting a band-aid on it.